Yours truly is heading east this week to drive the 2016 edition of all-wheel-drive Lexus models. Which ones, exactly? No idea yet, as Lexus’ invitation doesn’t specify. For now, it’s a mystery. Actually, Toyota’s luxury and prestige brand has plenty of choices with 11 models in its current line-up that can be equipped with AWD. Still, I’d bet on the all-wheel-drive versions of the Lexus RC 350 coupe, the IS 300 and IS 350 sedans, or even the NX and RX utility vehicles, which are among the brand’s more recent products. Chances are that they will also prove the most agile. Big sedans or big SUVs? It would be interesting to drive the full-size LS 460 AWD though, or the GS 350 AWD away from city traffic. Especially if Lexus decides to hand us the keys to F SPORT versions that boast a more-aggressive look – whether we like their prominent, black spindle-shaped grille or not – as well as sharper handling characteristics and a cockpit tailored for driving enthusiasts. It would also be nice to rekindle with the veterans of the line-up, the big, muscular and venerable GX and LX SUVs that we’ve forgotten a little over the years in a hotly contested market segment. The program will start in Quebec City, and our first destination will be the superb La Ferme hotel, owned by the Germain group. It’s located in the heart of Baie Saint-Paul, still in the magnificent region of Charlevoix. The area is bursting with twisty and sometimes wavy roads, laid out in some of the most breathtaking sceneries we could imagine. Charlevoix is beautiful, even in winter. 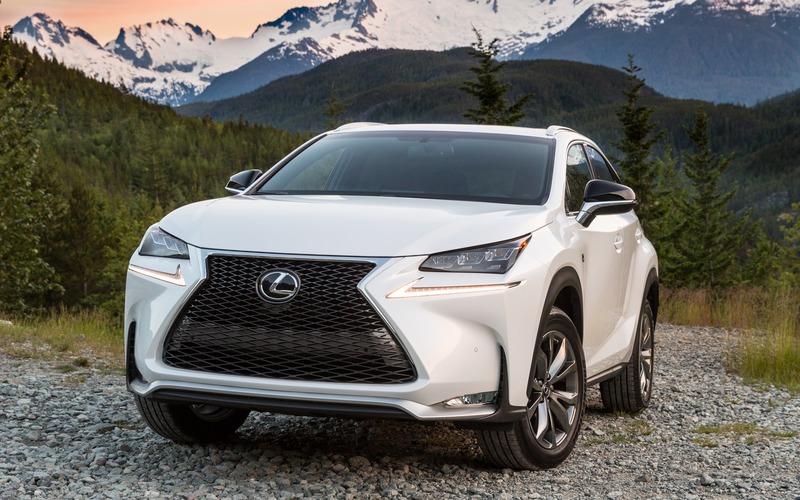 Moreover, Lexus is undoubtedly counting on the presence of a little snow, or ice, in order to demonstrate their all-wheel-drive vehicles’ capabilities at handling the winter season. This could very well be possible in this region, even in early December. The problem is that the temperature is particularly mild this time of the year in Quebec, as if Mother Nature was supporting the representatives of 200 countries that are currently attending the gigantic COP21 event in Paris, trying to forge a worldwide agreement to stop global warming. We’ll see what happens in both cases. For now, the forecast calls for a few snowflakes overnight, but above-zero temperatures and a little rain during the day. Who knows, maybe our hosts found out a way to make the most out of the region’s microclimate, or will use snow guns from the local ski centres.